Raleigh Wheresoever Praise/Prayer Meetings: Every Friday at 7pm All are welcome! The Wheresoever House of Prayer in Raleigh, NC, USA is presently the international base for Wheresoever Ministries. Praise & Prayer Meetings are held every week whether or not Danny and Lindy are in town. The meetings include praise, worship, prayer, teachings, sharing testimonies, etc. The Prayer Team and visitors seek the Lord, worship, and intercede for the world, local and global. As Lindy, Danny, and other members of Wheresoever return from the mission field, they are asked to minister, teach, and give presentations of various experiences from the journeys. Guest speakers participate occasionally. All are welcome to attend; if you are interested and want to find out more, please send an email to Prayer@WheresoeverMinistries.org. 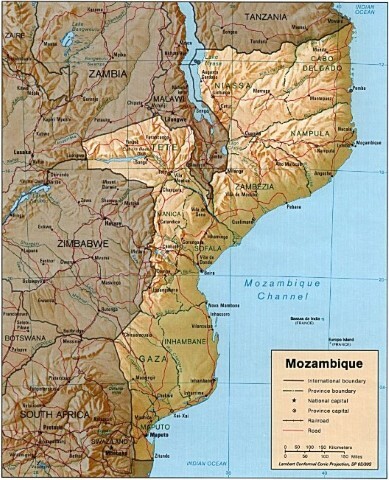 The next Wheresoever mission trip to Mozambique for a team from the US is planned for Aug/Sep. We are expecting to see the Holy Spirit move powerfully with miracles, signs and wonders, leading to many salvations, and hopefully churches planted. If you are interested in coming with us, please let us know by sending an email to Info@WheresoeverMinistries.org. Danny and Lindy will remain there until late October, visiting more remote areas and seeking God to help casting vision for the next few years together with the African Team. The Wheresoever African Teams in Mozambique and Malawi continously work tirelessly to bring the Gospel to the lost, to increase the maturity level and enthusiasm for evangelism and discipleship in existing churches, and to train and oversee the work of the many Wheresoever Councils in these nations. This passionate work takes place year round, whether or not Danny, Lindy or short term mission teams are present. Many of their activities are included in the "Recent Activities" and "Archives" pages in this website. Kenneth leads the effort in Mozambique and oversees all the activities in the Southern African nations including Malawi. Moses leads the team in Central Malawi and Lloyd together with Enesia lead the Southern Malawi team. When mission teams from USA, England, Brazil or other Western nations go to help and accelerate the progress, the African teams host them and incorporate them into the ongoing activities expanding the Kingdom of God. This will be mainly a prayer journey, visiting strategic locations, praying for blessings on this wonderful nation, tilling the ground and claiming it for Jesus. There will also be some ministry in churches and possibly a Christian Dance workshop. And of course, fellowship with friends loved for many years. Wheresoever will partner with YWAM to be part of the prayer support team during the centenary celebrations in this beautiful country which was formally established as a sovereign nation on November 18 1918. Because of its strategic location, Latvia has suffered through a revolution, two world wars, freedom fights, several occupations including the Soviet Union and Germany, deportations, refugees and a large exodus among them. The nation's determination has come through, their resolve and personality is very visible. Much prayer needed for the future in these uncertain times. It will also be wonderful to spend time with good friends we have not seen for about five years.